Explore the eastern side of the island with the charming Friday Attitude ideal for families, couples, friends or solo travellers. 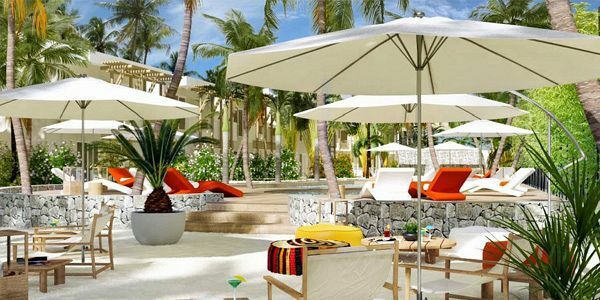 Fringed by a very wide beach of fine white sand, this 3* superior hotel offers a totally relaxing and tropical holiday destination in Trou d'Eau Douce. Enjoy the breathtaking views, where you can feast your eyes with the hues of blues and green of the ocean, and the tropical garden exuberant vibrant summery colours, all to set you in the mood for a tropical vacation. 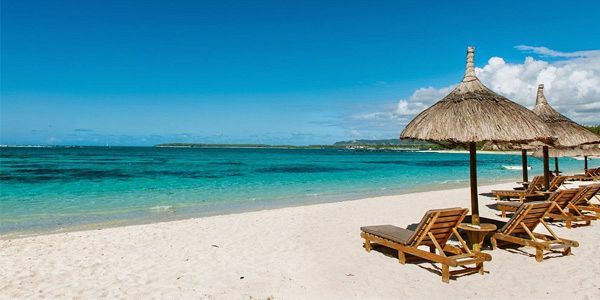 The hotel creates a cosy atmosphere and allows guests to stroll through the sandy beach of Mauritius. Stay away from the hustle and bustle life and settle in one of the comfy room of the hotel. 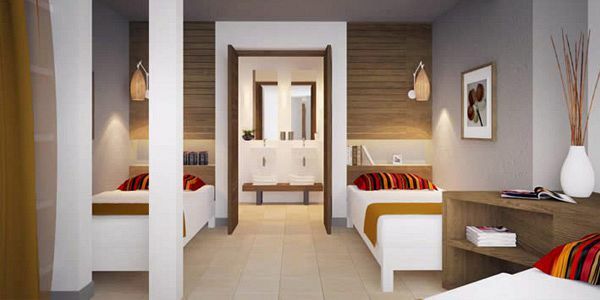 Each room at Friday Attitude Hotel is designed in typical Mauritian architecture with a modern yet refined style. Contemporary chic yet relaxing, the 67 hotel rooms are available in two categories to meet your demand. They come with excellent room amenities to provide you the best comfort. The rooms are simply decorated and open onto a private balcony with garden views. They each have a bathroom with a shower and hair dryer. Besides the laid back lifestyle, you will get to enjoy the exciting leisure activities such as beach volleyball, snorkelling, kayaking, pedal boating and many others. A child-minding service is also offered, and there is a games room with billiards, table tennis and darts. In addition, guests can also enjoy evening entertainment and shows provided by the hotel three times a week. Whether you want to taste the local or international dishes the 900 East restaurant will certainly delight you with its succulent buffet or à la carte menus. Chill at the beach bar with the exotic cocktails. Find the hotel at Trou D'Eau Douce in the eastern part of the island, proximately 50 km from the airport and 45 km from the capital, Port Louis. The Standard Rooms and Family Rooms are spread amidst the filaos and the bougainvilleas of the surrounding gardens. The comfortable and stylish Standard Rooms have a double bed and a furnished terrace or balcony. Ideal for families with children the spacious Family Rooms have a double bed, 2 beds for children and a furnished terrace. Room features include IDD telephone, satellite TV, safe, tea and coffee facilities, air conditioning, hairdryer, beach towel, 220 V electrical socket, bathroom with shower and separate toilet. The Family Room has a separate children's room. 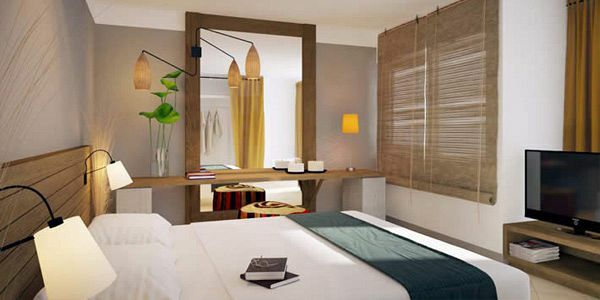 Decorated in warm colours, the Standard room promised for a comfortable stay. The rooms features a furnished terrace or balcony. The Family Room is ideal for families with children. These spacious rooms feature a separate kids' room and a furnished terrace. Spa Attitude invites its guests to unwind, to experience genuine Mauritian relaxation all along this unique moment of well-being with massages, body care and facials with its four signature treatments. 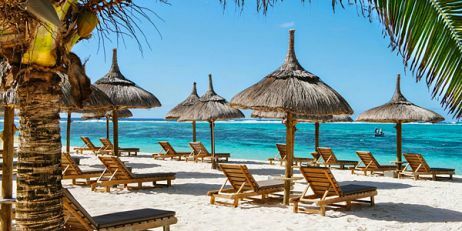 Treat yourself whilst enjoying your tropical island holiday with the Attitude concept: Earth Attitude, Sea Attitude, Sun Attitude and Flora Attitude based on genuine natural elements of Mauritius. 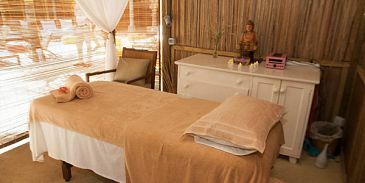 Guests will be taken care on a journey through these Mauritian elements full of bright colours, soft sounds and exotic smells. Evening entertainment six times a week, including a sega show. Boat house open from Monday to Sunday from 09h00 to 17h00. At Friday Attitude, children between the age of 3 and 12 are kept entertained every day from morning to afternoon, allowing you to appreciate your holiday in Mauritius with total peace of mind. 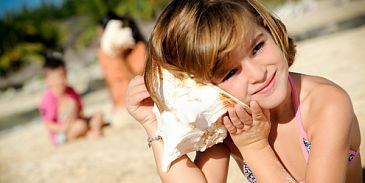 Under the supervision of an experienced and enthusiastic staff member, your children will have fun being creative on the beautiful beach of the hotel. A baby sitting service is available at a fee. Prior booking required. Otentik Attitude, a new and unique concept. 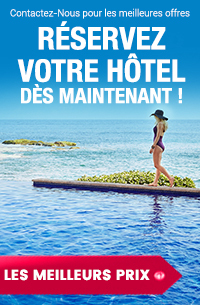 Attitude, true to its promise, invites all guests to discover Mauritius and its numerous facets. Goodies to enjoy, sweet and savoury, memorable things to do, unexpected 100% Mauritian experiences. Otentik Dinner -Experience Mauritian hospitality at its best with a genuine home cooked dinner in a local home (once a week upon reservation, at extra cost). Otentik Cuisine -Cooking classes around a local speciality. At the buffet in the main restaurant, Mauritian specialities to enjoy. Otentik Bazar- The weekly market "Made in Mauritius", displaying and tasting of local products (once a week). Otentik Music- A holiday to the beat of local music: discovering traditional instruments and Mauritian artists, séga show. Otentik Discovery -Discovering the natural, cultural and historical heritage; encounter with the local people… fill the pages of your otentik "notebook" kindly offered by the hotel, with all these souvenirs collected during your stay. 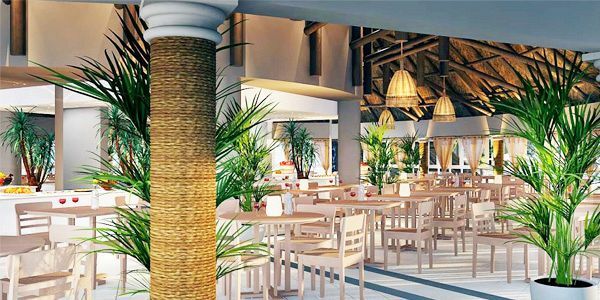 The spacious hotel restaurant offers Mauritian and International cuisine with a buffet breakfast, an à la carte or buffet lunch and dinner is either a theme buffet or table d'hôte. 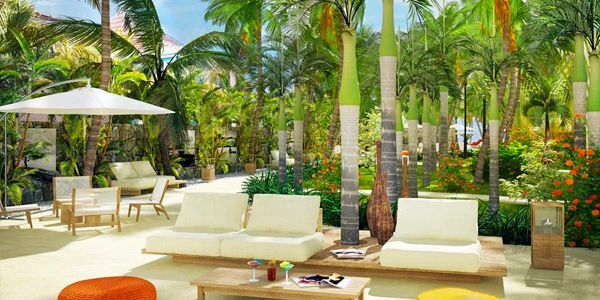 At tea time, enjoy pancakes with your tea or coffee around the swimming pool. 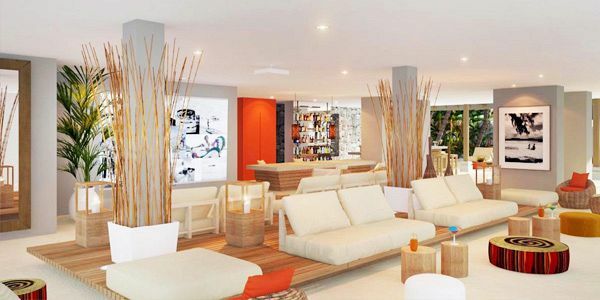 The Beach Bar is the main bar and serves delicious exotic cocktails, often rum flavoured, and a wide variety of other refreshments and drinks. 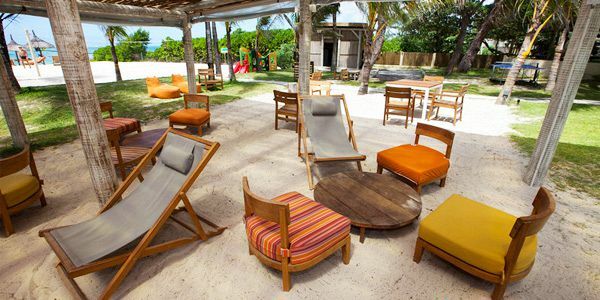 A bar on the beach offers a selection of thirst quenching drinks. Enjoy a new and unique concept, the Otentik Attitude, and discover the various facets that make up the cultural diversity that is Mauritius. Take in 100% Mauritian experiences with dinner in a Mauritian home, a visit to the weekly market, join in a cooking class and learn the finer points of Mauritian cuisine, sip a local cocktail whilst listening to the local beat or simply follow the exclusive and original Otentik Discovery, a guide to this fascinating island. Evening entertainment is provided three times a week and includes a Sega show. Dress code is casual at breakfast and lunch; casual and elegant at dinner. Shorts are not accepted in the restaurant and bar area at dinner.